We make history fun and exciting! Have you ever wanted to get an insider’s look into history? Would you like to see recently uncovered artifacts that provide insight into the region’s long history, explore a historic home that served as a Revolutionary War field hospital, or interact with a “real” soldiers at a military encampment? You can do all of this plus enjoy wine tasting, take a boat ride, and enjoy an incredible local farm to table lunch just by signing up at www.akibatravel.com. This inaugural guided tour will take you to of some of the region’s hidden gems for a one-of-a-kind experience. 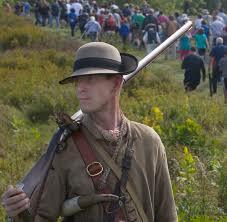 Learn archaeologist’s techniques and view recently discovered artifacts from the Revolutionary War era; experience harsh camp life of Revolutionary War soldiers at Saratoga Battlefield’s Annual Encampment; take a boat cruise on the historic Champlain Canal; and, discover the unmarked destinations and under-told stories that provide a new look into our region’s past. We will even visit a historic home that was once a Revolutionary War field hospital and view remnants of blood stained floors, a 1777 cannon ball lodged in a beam, and the basement where the Baroness Riedesel, wife of the General Riedesel hid with her three children during the siege. This day-long trip will begin at 8:30AM at 12 Spring St. Schuylerville, NY, and return by 5:00PM. Farm-to-table lunch is included in the price with an add-on option for a dinner reception after the tour. Cost is $75 per person. 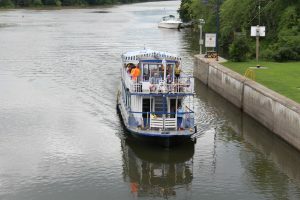 Price includes: transportation, boat ride, guides, lunch, access to all attractions and more. Call: 518-322-2067 or visit www.akibatravel.com for more information. This program is presented by Akiba Travel LLC.